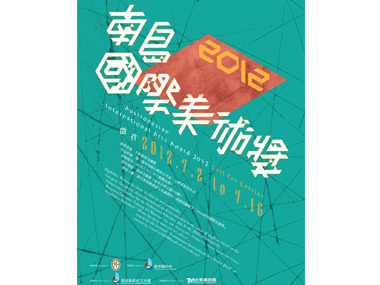 The Taitung County Government in Taiwan is offering artists from all over the world an opportuntiy to take part in the Austronesian International Arts Award 2012. According to their site, the word “Austronesian” comes from the anthropological term “Austronesian language family” and refers to ethnic groups that live on islands in the South Pacific and Indian Oceans. They describe this Award as celebrating the richness of art, and are setting no specific theme. All awarded artworks will be exhibited in September at Taitung Art Museum and arrangements will be made for widespread exposure through a "Road Exhibition". 1. Austronesian Arts Award—Quota:1 ; Reward:NT$400,000 (approx $AUD13,000), one certificate and 15 collection albums. 2. Silver Award—Quota:2 ; Reward:NT$150,000 (approx $AUD5,000) prize money, one certificate and 10 collection albums. 3. Bronze Award-- Quota:3 ; Reward:NT$60,000 (approx $2,000) prize money, one certificate and 5 collection albums. 4. Excellence Award-- Quota :12；Reward:NT$10,000 (approx $300) prize money, one certificate and 3 collection albums. 5. Merit Award-- Quota:20-30 ; Reward:One certificate and 2 collection albums. 6. Special Award-- Quota:1 ; Reward:NT$100,000 (approx $3,000) prize money, one certificate and 10 collection albums. The guidelines can be downloaded at the website of Taitung County Government Bureau of Cultural Affairs (http://www.ccl.ttct.edu.tw/FileDownload/FileDownloadPage.aspx?UID=5&ClsID=55&ClsTwoID=0&ClsThreeID=0).